A couple of weeks ago the kids' school did a toy drive for Toys for Tots. We sent a couple of toys with the kids. Ever since then we've seen dozens of Toys for Tots bins and boxes all over town. The other day Adolpha and I went shopping and Toys for Tots was there with a list of items for older kids. I always buy toys for little kids, but so many times I forget the big kids. Last year I volunteered for an organization that lets low income families come in and shop before Christmas. Everyone gets to pick a personal gift for themselves that isn't a hat or a coat or food. There were tons of toys for little kids, but the tweens and teens kind of got the shaft. Their wants are just so much more expensive than the little ones. When the Toys for Tots volunteer handed me the list I saw that they'd come up with lots of reasonably priced items for tweens and teens (AXE Bodyspray, make up, sketch pads, curling irons, books, DVDs, etc.). I told Adolpha that we'd buy a few of these items. As we perused the make up aisle, Adolpha said, "Are you sure he's going to want make up??" I was busy trying to decide if electric blue eye shadow is back in style again (I think it MIGHT be) and I didn't really listen to her question. "Hmmm?" 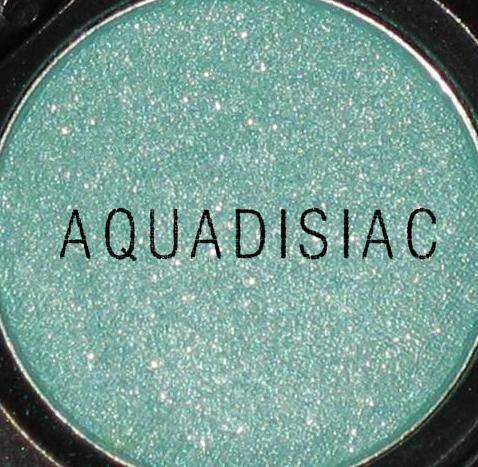 I asked as I put back the Electric Eel eye shadow and chose Aquadisiac instead. I'm pretty sure I wore this color in 1984 and it didn't look good on me then either. "Are you sure this boy is going to want make up?" Adolpha asked again. "Who are you talking about, Adolpha?" I asked. "Todds. The boy who gets all of these toys. Y'know, it's called Toys for Todds. That Todds kid is getting a lot of toys." I love kids! That was cute. Adolpha is sweet. I never think about the older kids either, so thanks for the reminder! So stinking cute!!! i love it :) And i love this tradition, we are totally going to start. We are random donaters, and i would love it to be not so random, and something the kids are a part of. You're an awesome mom! So funny made me think of my boy who thought Kettle Corn had kettles in it. A - thank you for the reminder about older kids. and B - Adolpha is adorable. I picked the 17 year old boy for the family a group of us are sponsoring because the older kids always get left out. I don't think his name is Todd but I will be getting him some things so that his younger sibs don't get all the loot. That is awesome. Last year I heard on the radio that the older kids had wish lists that consisted of things like deodorant, facial cleanser, shampoo...that made me so freaking sad. Those should be givens. Those should not be wants. 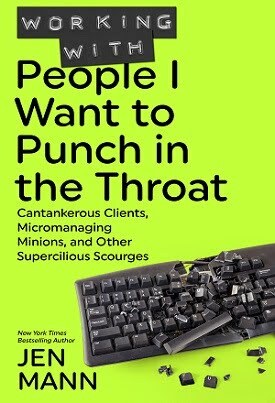 Those are needs. Wow. So sad it makes me angry and tearful just thinking about it. I wanted to, but had no idea how to, start a drive to make gift baskets for low-income teens, baskets that would have staples, and a couple of fun things. I wanted to seek donations from companies to get the staple items, and maybe give them movie tickets, or Subway cards, or something like that. I just didn't know how to make that happen, and now I feel like a loser that I didn't pursue it harder. At my new job's Thanksgiving lunch there was an Angel Tree for the nearby teens w/ babies home (I'm sure there's a better way to say that!). It was fun shopping for both the 16 yr old mom and the infant! As mother Theresa said, "If you can't feed a hundred people, then just feed one." I know we aren't talking about food, but the concept still applies. It isn't too late to make a difference for ONE kid this year. So don't beat yourself up over what you didn't do, make the difference that you can. And I agree, what does that say about a child's situation when teens want toiletries for Christmas? That is so funny! I remember when I was Adopha's age, I used to wonder about the signs in front of the school that read "Slow down when kids are president." I couldn't figure out if that would never happen or if it was a given (e.g., presidents were always kids once). I once sponsored a teenage boy and girl and couldn't for the life of me figure out what teenage boys would want that is affordable. So awesome. I love kids! Mine are pretty cool too :) Thanks for the good ideas on the 'older kid toys' - I'm gonna do that! 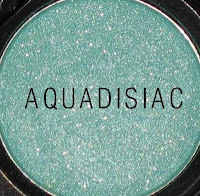 Electric blue eyeshadow is always in style. Just randomly found your blog today because a friend shared the Elf post on Facebook (best ever!) You are hilarious! In the Atlanta we have Clark's Kids. They set up at Walmart's around town and have list for kids in foster homes. You pick a kid and shop for them and turn the stuff in at the table. My husband has always taken the older kid and last year we started with the 3yr girl. When we try to explain why we are buying the gifts, my daughter goes, "Won't santa just bring them extra presents?". We agreed but adding that santa is very busy and the kids don't have the family gifts like ones that grandma and grandpa give them. She just replied "I think they would want a family more than gifts can we buy them a family?" How do you answer that one. I have worked with fostet children for a number of years. Each year at Christmas we go to the toy drives to pick out presents and each year there are never enough for the older kids. People often forget them when thinking about buying presents for children in need. One year a local radio station hosted the toy drive and for the life of me I could not find one gify for a 17 y/o girl that wanted to play in a band. One of the DJ's overheard me talking with another social worker about the trouble in finding a gift. The DJ donated a drum set to this girl..it was the best gift she ever got. My suggestion...find a foster care agency and ask them ow you can sponsor an older child. They will appreciate anything...even body spray. L.O.L.! I am laughing so hard!!!! What a doll! I can only imagine what she's been thinking this whole time - wondering why this one boy, Todd, gets so many gifts, lol! What's so funny? You mean it's NOT Toys for Todds? Seriously, though, this year my church is making shoe boxes for all the kids we had in Vacation Bible School on our mission trip. These are kids who are doing well to get food on the table, so everything else is a bonus. I've got a 15 year old girl and two 6 year old boys. This should be easy b/c at heart I'm still 15 myself and I have a 6 year old son who can pick out for the boys. What a great idea! We have Christmas for Kids in my area, and I just held a special ZUMBA class to collect toys and money. I now want to speak with the organizers about also collecting things for the older kids as well, because we do so often forget about them! This isn't exactly through Toys for Tots, but my family had the saddest angel tree request this year. It was a ten year old girl who wanted an inflatable bed (like an air mattress) for Christmas, because her whole family had to sleep on the one mattress they had. Absolutely broke my heart- That was the only thing on her list. Birthday party are all about fun and game. Think about a birthday party, how could you make it better? There are many way to make a birthday party better but the best way is rent or hire a Inflatable bounce house .